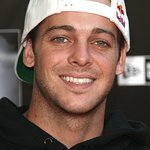 After weeks of rallying and spreading awareness for its finalists, Ryan Sheckler and the Sheckler Foundation are pleased to announce Books and Boards East Coast Tour its “Be the Change” recipient. As the beneficiary, Books and Boards will receive a $10,000 financial grant and support from the Sheckler Foundation to help provide skateboards and books to underserved communities. Boards for Bros and Bess the Book Bus joined forces in 2015 to give the combined gifts of reading and skateboarding to underserved youth in Tampa Bay, Florida. After hitting the road together to reach kids in underprivileged neighborhoods, both non-profits found that this partnership left a dramatic and lasting impact on the lives of Tampa’s youth, offering them an escape from harsh reality. Through skateboarding and reading, Books and Boards’ mission is to provide children a place of inspiration where they can create happiness in a time of despair. With a $10,000 grant and support from the Sheckler Foundation, Boards for Bros can join Bess the Book Bus on an East Coast Tour bringing Books and Boards’ events to youth in Baltimore, Maryland, Camden, and Ashbury Park, New Jersey. In addition, the grant will allow Books and Boards to purchase skateboard and art supplies, helmets, stencils and books giving kids a chance to learn and grow in a fun, joyful and active learning environment. The Sheckler Foundation is dedicated to the mission of educating, equipping and empowering its community to “Be the Change” and has helped numerous causes and individuals over the years, to include: A.skate Foundation, The Port Gamble S’Klallam, Peach’s Neet Feet, Ashley Wade Foundation, Hope for Carter, Gamerosity, Andrew Hale’s Road to Recovery, Coping Mechanism-Parisite DIY Skatepark, Talk About Curing Autism (TACA) and Adventure Club.